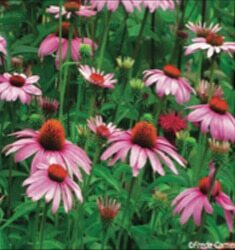 Early blooming variety with rose-pink flowers appearing early summer to frost, much longer than other Echinacea. Compact, well-branched plants. Great in the mixed border or bed.